Post 7 of a series detailing our Eastern Europe road trip. View all the posts so far here. Corvinilor Castle required only a minor detour, and having seen photos of it online I was desperate to see it for myself. 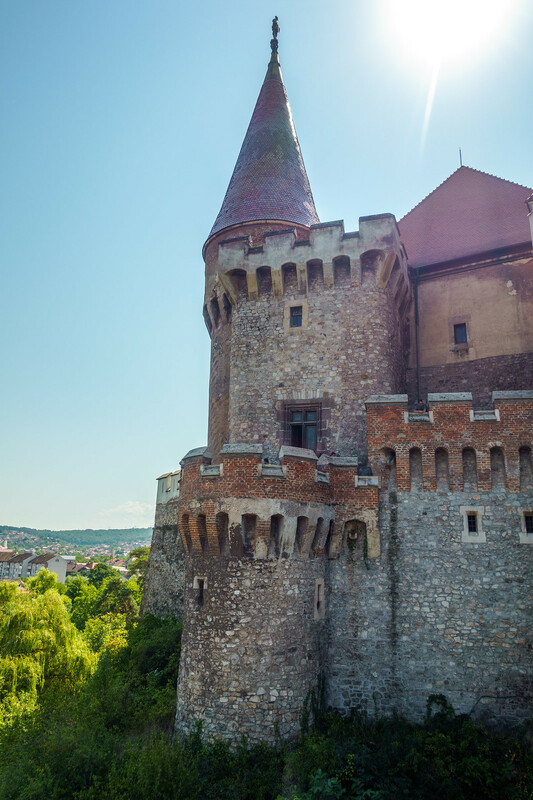 With a long drive ahead we didn’t want to stay long, and thankfully you can enjoy the castle’s biggest selling point – it’s spectacular exterior – without having to buy a ticket. We simply walked to the clearing in front of it (where there’s a cafe, a shop and some snack stalls) and admired it from there. 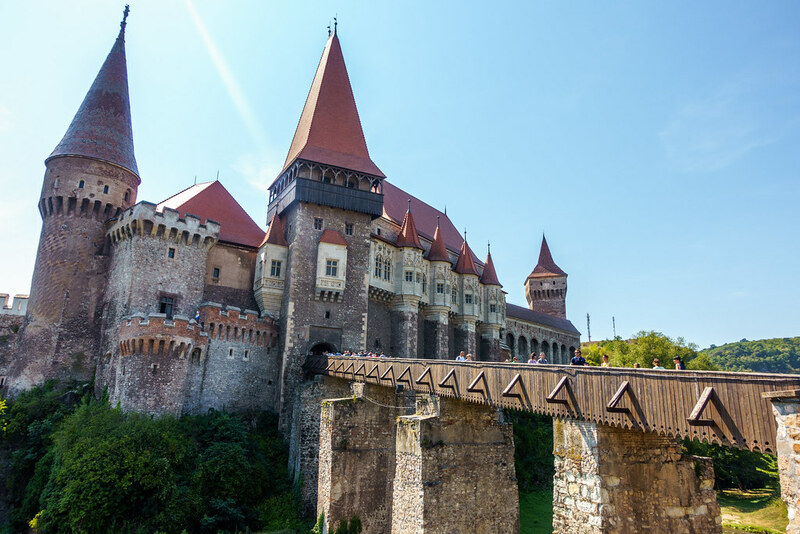 It was a thrill to see Corvinilor Castle in real life. 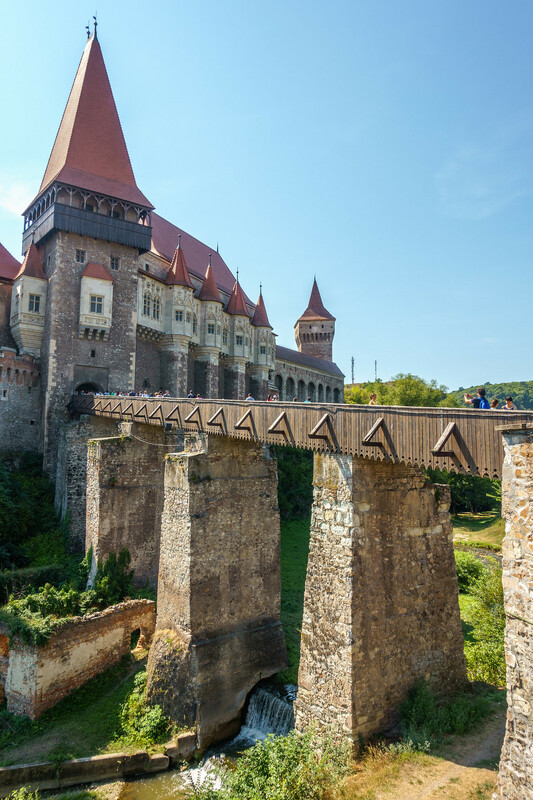 With its long drawbridge, deep moat and conical red turrets, it is a brick-and-mortar realisation of the perfect fairytale castle. It wouldn’t look out of place in Disneyland. 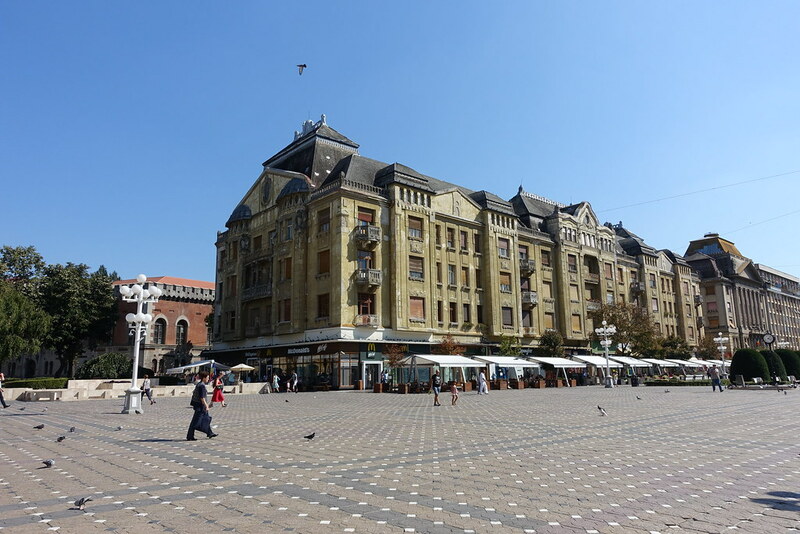 Having taken in the view we continued to Timisoara, where we planned to buy lunch. Going on the advice of TripAdvisor (we never would have found it otherwise) we sought out George’s Snack Hut, which is little more than an unmarked doorway in a long wall of terraced buildings. Here we bought two massive sub sandwiches: a chicken steak sub for me and a BLT for Steve, with what little remained of our Romanian lei. We took them to a bench in the nearby Botanic Park before tucking in, which is just as well, because they were extremely messy! 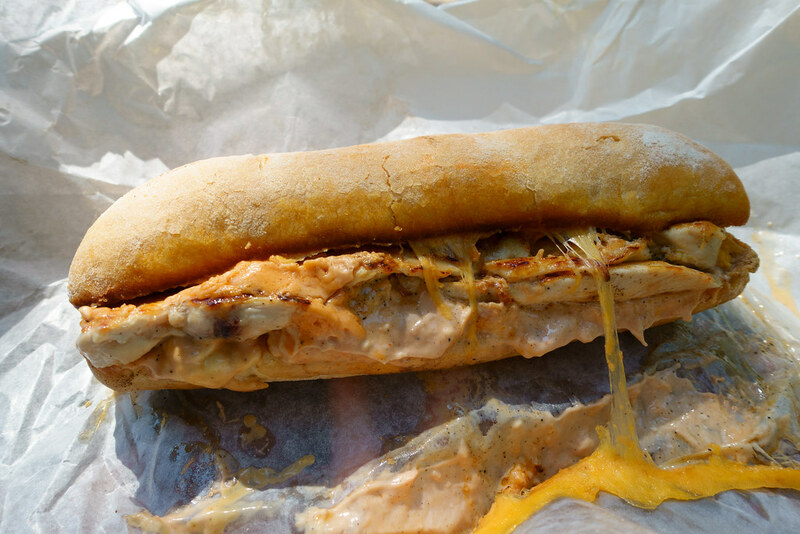 The stringy cheese stuck to the paper, the salad slid out, and the mystery sauce ran down my fingers, but it was one of the best sandwiches I’ve ever eaten. I only managed to eat half before admitting defeat and wrapping up the rest for dinner. 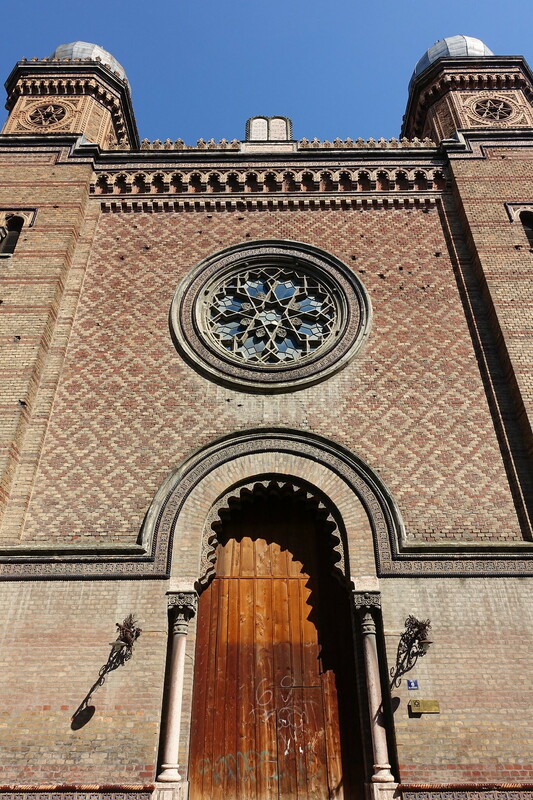 I didn’t want to leave Timisoara without seeing a little more of it, so before getting back in the car I took a brief run around the city centre with my camera. 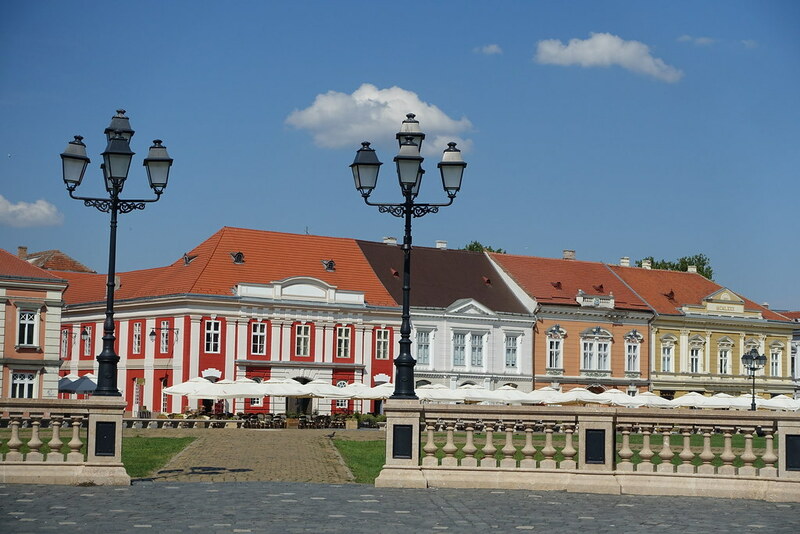 My instant impression was of a city much larger and more modern than Sibiu and Brasov, but much cleaner and prettier than Bucharest. I’m sure it would have been a nice place to stay if we’d had the time. About an hour later we were at the Serbian border, on the E70 between Stamora and Vršac. We’d decided to cross here specifically, ignoring Google Maps’ “fastest route” recommendation, because we knew it was an official border crossing where we’d get our passports stamped. We joined the back of a small queue of vehicles and went through the motions, without really understanding what was happening. Men walked to and from our car, and said things and made signals that we didn’t understand. Even once we’d got our passports stamped and handed back, it wasn’t clear whether we could leave, and in which direction. But at the nod of an attendant’s head, we drove forwards over the large expanse of tarmac, littered with lorries, until we re-found the road. As we turned the corner and saw our first road sign in Cyrillic, I felt a mixture of relief and trepidation. Our next destination: Serbia’s capital city, Belgrade. 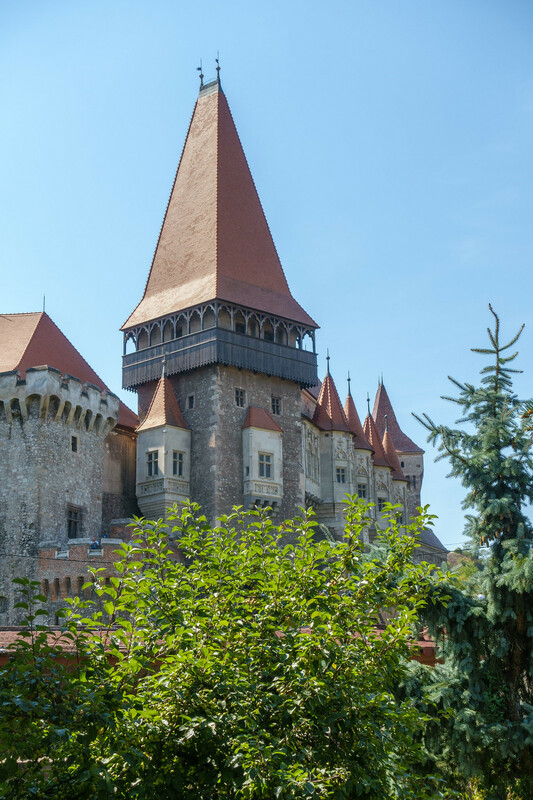 Posted in Eastern Europe, Photography, Romania, TravelTagged Corvinilor Castle, fairytale castle, Serbian border crossing, TimisoaraBookmark the permalink. It wasn’t worth being nervous about really, the crossing went fine! 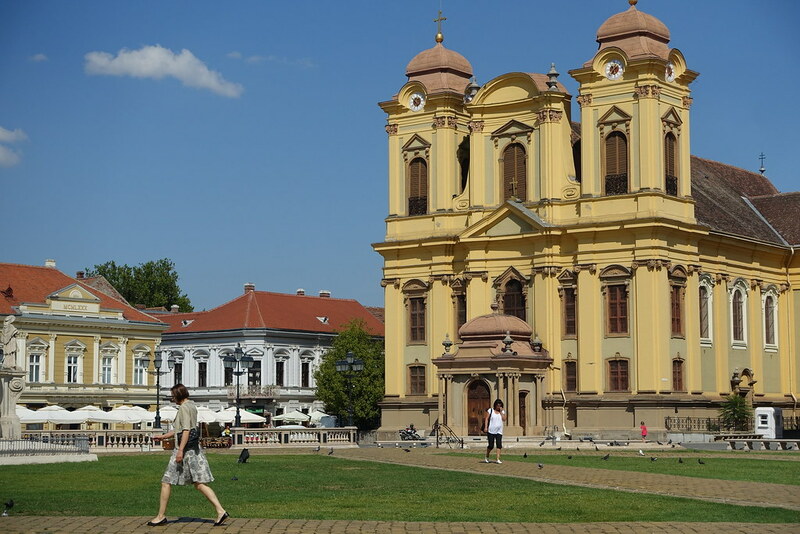 If I went back to Romania I’d like to see more of Timisoara. Thanks for reading!